You have to love James Delingpole’s sense of humor. 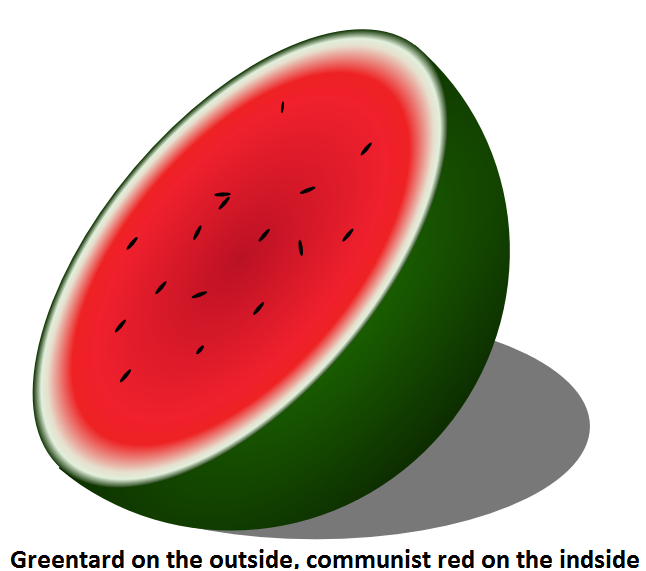 Likening climate fascists to watermelons is a masterpiece of perception if I ever saw one. Watermelons: green on the outside, red on the inside. This is the theme of my forthcoming book on the controlling, poisonously misanthropic and aggressively socialistic instincts of the modern environmental movement. So how very generous that two of that movement’s leading lights should have chosen the anniversary of Climategate to prove my point entirely. Read all about how the “greens” are really the “reds” as far as using being “green” to gain control of your every movement at the source below. Certainly more Co2 insanity.